Listen-in to this EPIC edition of Apologia Radio! We get to chat with Les Lanphere (Reformed Pubcast) about his upcoming film, Calvinist. We also have a blast while being joined by our friend, Douglas Wilson. Steady Randy and Doug reenact one of Doug’s recent articles in an effort to give some much needed righteous-mockery to the culture. We also get to chat with Doug about the results of the election as well as whether or not Christians can celebrate Christmas. Finally, we review a bit of a recent message from one of our heroes of the faith: Dr. John MacArthur. Pastor MacArthur spent a few moments talking about the election before the final day of voting. We have a lot of love for our brother, but, we feel that some of his comments needed a biblical-critique. We hope this episode blesses you and we would be honored if you shared it with someone you love! Don’t forget, you can partner with Apologia Church by signing up for All Access at https://apologiaradio.com. When you do, you not only make all of our content possible, you get access to all of our TV shows, our After Shows, and Apologia Academy. You’ll learn about the Biblical Worldview and how to defend it by teachers like Dr. James White, Jeff Durbin, R.C. 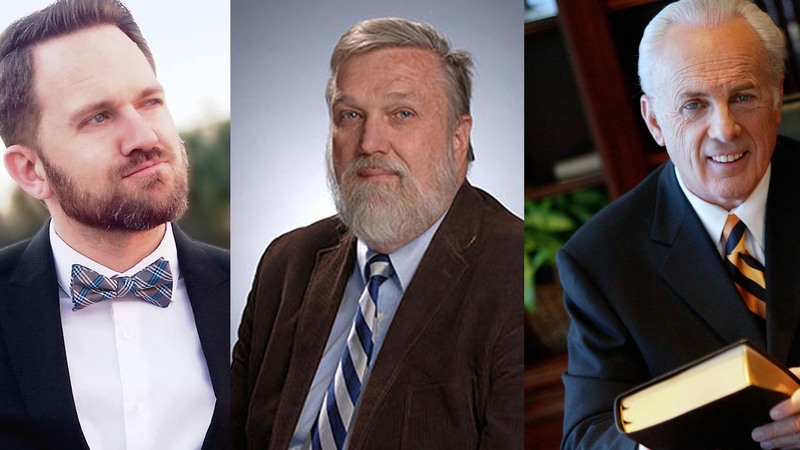 Sproul Jr., Dr. K. Scott Oliphint, Douglas Wilson, John Samson, and more!